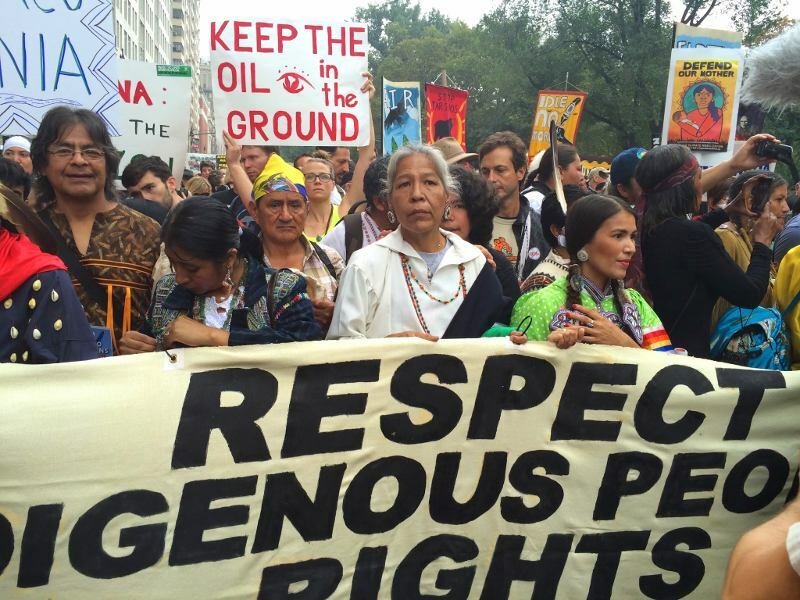 In celebration of Indigenous Peoples Day last week, I have been blogging about the role of indigenous peoples in the global environmental movement. I first discussed the many reasons indigenous peoples are a leading force in the global environmental movement. Part II in the series focused on a visionary contribution indigenous peoples are making in advancing the legal rights of nature and I called attention to two examples of how indigenous rights can be violated by those who champion the rights of nature: the recent violent suppression of an indigenous protest march by the government of Bolivia and the REDD (Reducing Emissions from Deforestation and forest Degradation) movement's failure to recognize and protect indigenous rights. Today, I want to tell you about the work Amazon Watch is doing to steer Bolivia and the REDD movement in a wiser, more humane and more effective direction. As noted in last week's post, on September 25th the Bolivian government violently suppressed a 400-mile protest march by the indigenous communities being directly affected by the construction of a highway through their land, also a national park, without their consent. Aware of the mounting tension over the highway's construction, Amazon Watch co-authored and delivered a letter to the Bolivian government four days before the violence broke out. The letter was signed by 60 other leading international environmental organizations and asked the Bolivian government to respect the rights being asserted by the indigenous protestors. 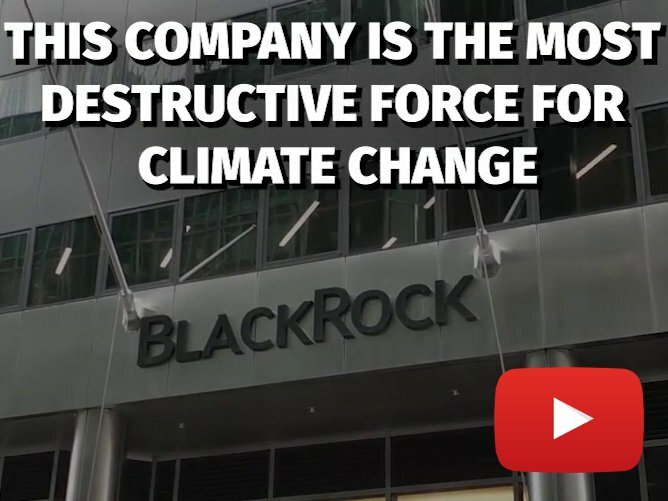 In making this request, the letter discussed at length Bolivia's history of leadership and its important present role in the global environmental and nature rights movements. The letter also detailed at length the interwoven environmental and social consequences of violating the rights of the indigenous communities threatened by the highway's construction. Given the large number of resignations resulting from the government's violent conduct and the subsequent halt of the flow of funding for the highway project from the Brazilian National Development Bank (BNDES), the Bolivian government probably wishes it had taken the Amazon Watch letter more seriously to heart. 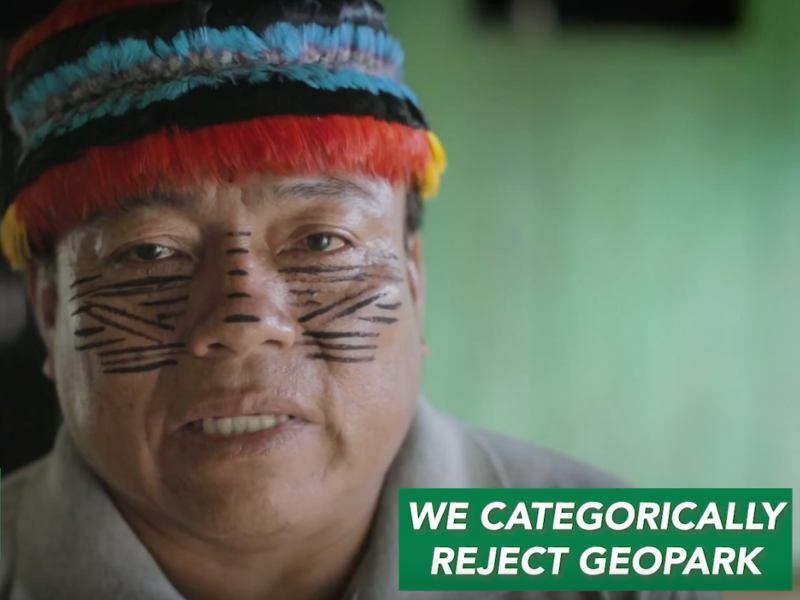 With respect to REDD, the concerns with which were also detailed in last week's blog, Amazon Watch is active in Peru, Ecuador, and Brazil helping to defend indigenous rights as the REDD movement evolves. Most important among these efforts is Amazon Watch's support for Peru's "Indigenous REDD" alternative strategy that prioritizes local territorial rights over investor rights, guarantees community-based management of the projects, keeps indigenous territories out of carbon markets, and requires widespread legal recognition of indigenous territories as a pre-requisite. By partnering with indigenous allies to effectively assert their rights and discuss the issues surrounding REDD with interested parties from the "developed" world and by organizing delegations of indigenous leaders to conferences and international gatherings, like climate conferences and World Bank meetings they have previously not had access to attend, Amazon Watch is helping to redefine REDD in a way that will have substantial positive repercussions. 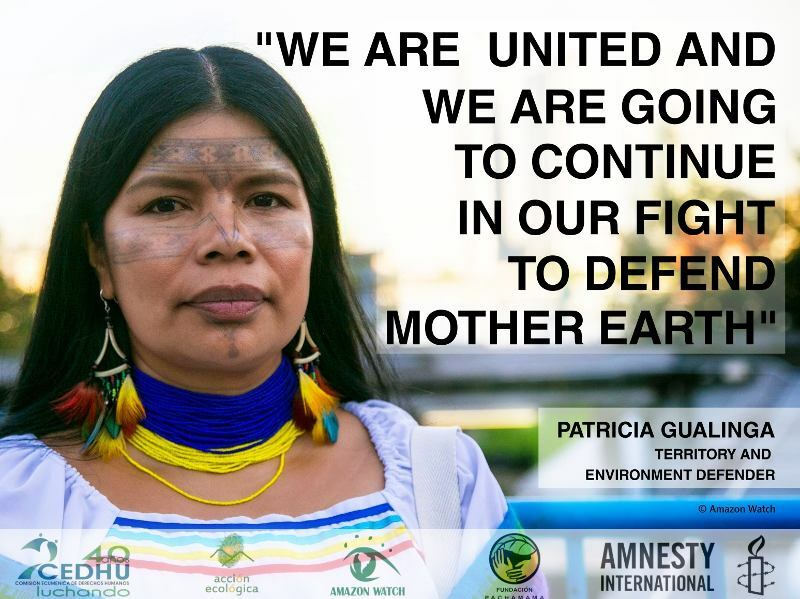 Amazon Watch's focus on a strong partnership with indigenous peoples will prevent REDD from becoming a tool that will allow industrial countries to continue polluting into a mechanism for helping the world invest appropriately in the value of ecologically sustainable indigenous societies. In Brazil, Amazon Watch helps support the Coordinating Body of Indigenous Federations and Tribes of the Brazilian Amazon (COIAB) in providing workshops on REDD aimed at helping the indigenous communities develop a unified strategy for protecting their rights. In Ecuador, they are monitoring the country's controversial and rapidly expanding Socio Bosque (Forest Partners) REDD program. Amazon Watch will soon publish a much-needed legal and social analysis of the program, its contracts and several case studies, and give workshops to communities concerned about Socio Bosque. 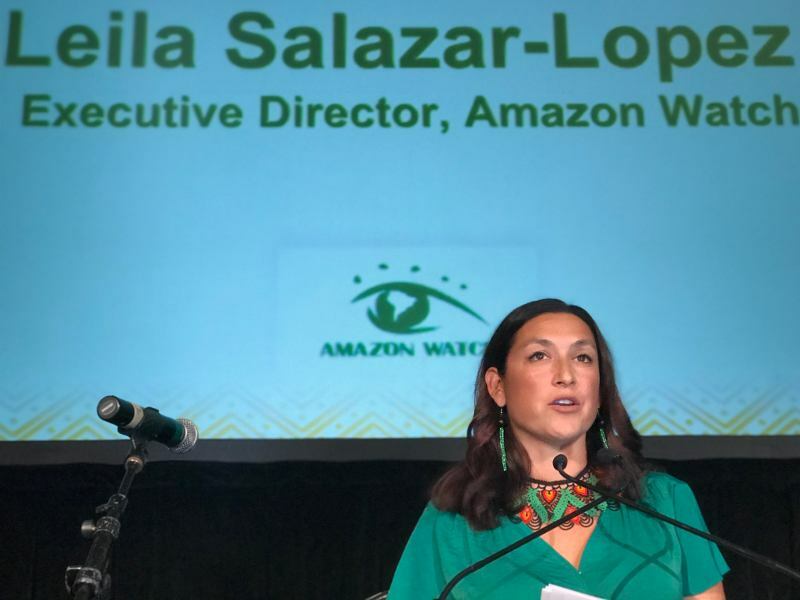 These are just two impressive examples demonstrating that Amazon Watch recognizes, as we all should, that the future of environmentalism requires much more than a commitment to sustainability and the rights of nature; it also requires a commitment to the rights of indigenous people. First, to disregard the rights of the indigenous who live in harmony with and are a part of their native ecosystem is simply logically inconsistent with any effort to preserve that ecosystem. Second, the momentum of the indigenous rights movement in recent decades has led to government recognition of large indigenous land ownership claims that have remained substantially environmentally intact under indigenous stewardship notwithstanding the economic pressures and trespass and destruction brought upon such land from outside. 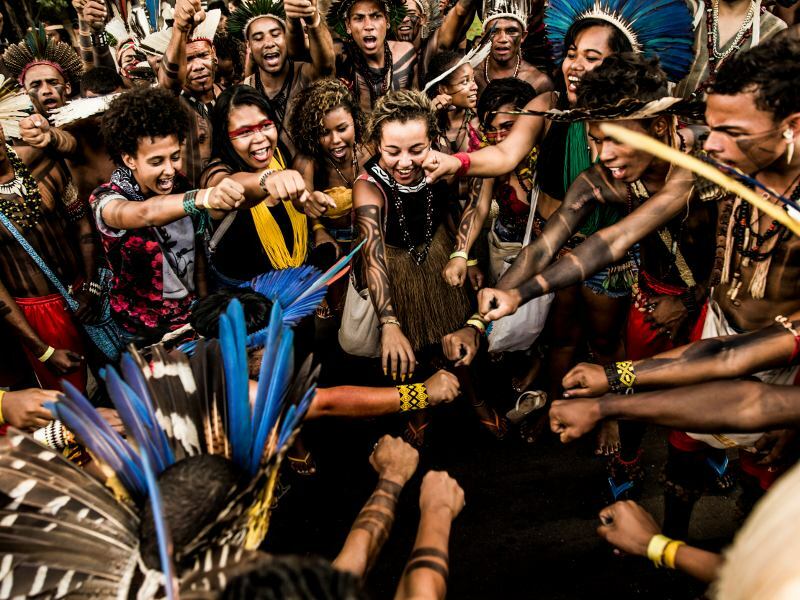 To adopt any strategy that denies the rights of indigenous peoples is to undermine one of the most environmentally beneficial movements affecting the Amazon. Third, as a result of the success of the indigenous rights movement, indigenous communities now hold legal title to a large portion of the existing rainforest. Legally recognized ownership of these lands makes indigenous communities powerful, either as an ally or an adversary. Partnering with these empowered indigenous communities to accomplish a shared goal makes far more sense than rendering that goal divisive by requiring that we pursue it in a way that requires the sacrifice of indigenous rights. Finally, the indigenous peoples' deep knowledge and experience of the rainforest ecosystem, their cultural investment in a nature-based way of life, their historical relationship to the rainforest, their current record of environmentally sustainable economic and social practices, and their current leadership in crafting an eco-centric vision of legal rights all make indigenous peoples an essential partner in the effort to save the Amazon rainforest, a partner whose rights must be respected and defended equally with those who live in developed societies. Today, we should be proud and grateful to have such strong, knowledgeable, visionary and culturally rich partners in our fellow human beings living among the world's remaining indigenous societies. May we all open our perspective a little bit larger to make indigenous rights a part of our worldview and a part of our vision for a more balanced, healthier planetary environment.